Description: Feel free to frolic through the season with the cozy comfort of the BRONAX winter boot! 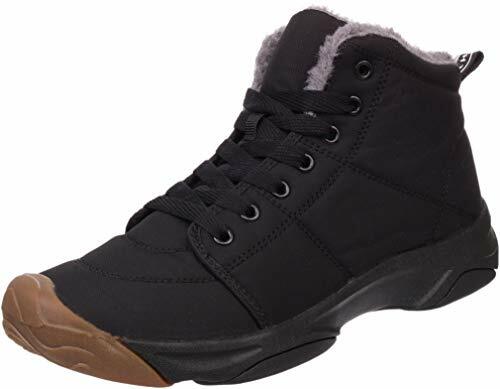 Plush faux-fur collar and lining for added warmth,Non-marking advanced traction rubber outsole provides excellent grip on difficult and snowy terrain.Pick up this boots for the best in fashion and function. Soft Faux fur lining ensures warmth and comfort, pick up this boots for the best in fashion and function., Removable fur lined footbed wicks away moisture to help keep feet stay dry and warm., Shoes Heel measures approximately 1.4”, Shaft measures approximately 4″ from arch., Traditional lace-up system with woven fabric laces and sturdy metal eyelets for a secure fit., Non-marking rubber outsole provides superior traction through wet, snowy, and icy conditions.